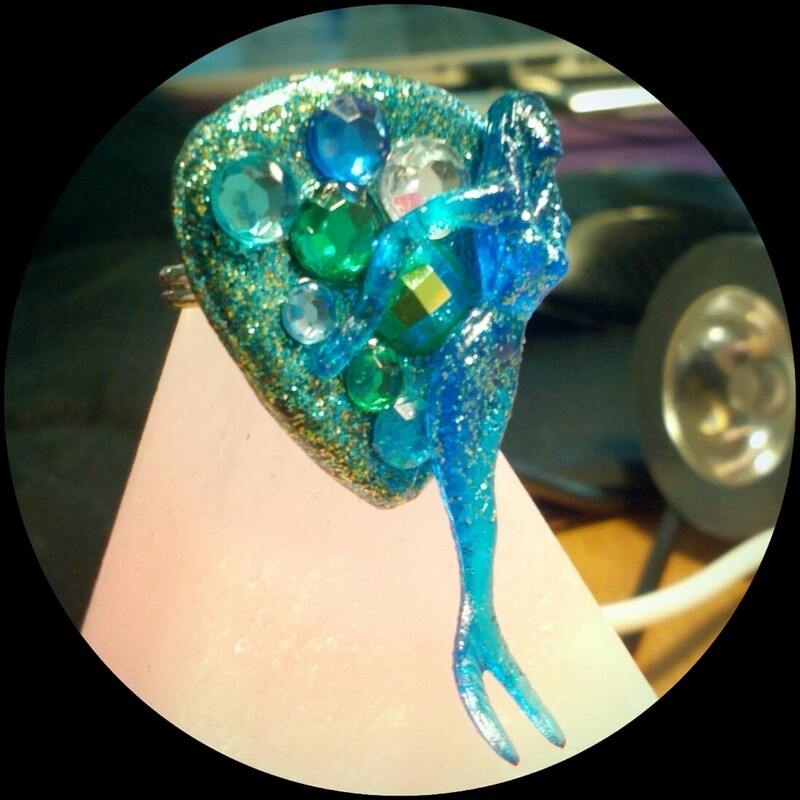 Mermaid and Gems Guitar Pick Ring! A guitar pick ring covered with gems and a blue cocktail mermaid permanently affixed to it. Find the full Cocktail Mermaid Guitar Pick Jewelry set here on my Etsy shop!